Updated: We’ve added instructions to listen via the browser. 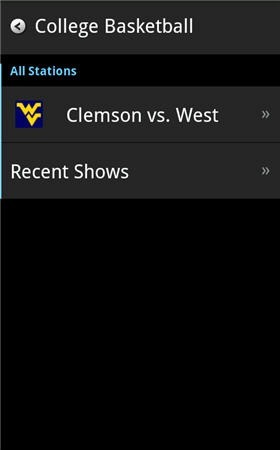 We were not finding many available games Thursday afternoon on TuneIn Radio. 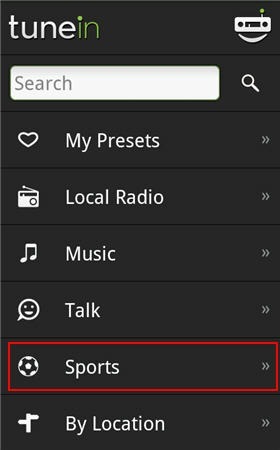 One way to listen to games is with the free TuneIn Radio app for Android. If you aren’t familiar with TuneIn Radio, it’s an excellent free radio app that’s is especially good for fans of sports talk radio. 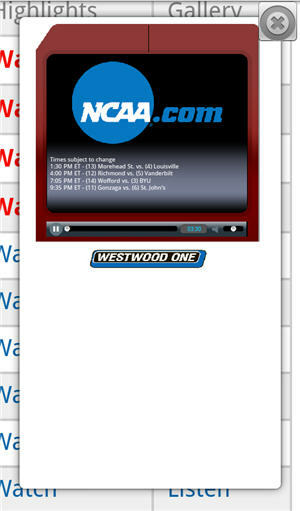 It’s not just for sports, but they do offer loads of live streams from sports radio stations from all over the country. Basically, it aggregates the live streams of radio stations on the web. 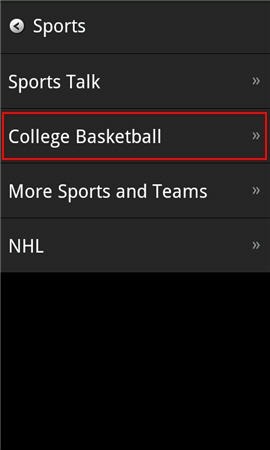 Note: If there currently is no college basketball coverage, you won’t see college basketball as an option in the list. There may be some games (or possibly more than just “some”…) that simply aren’t available. 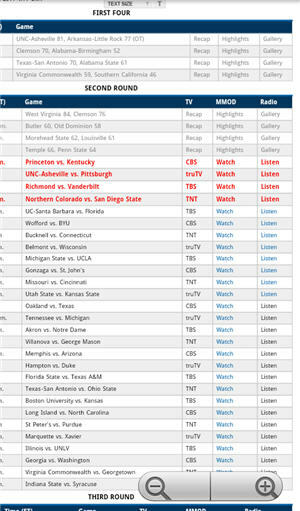 For example, the Butler vs. ODU game has begun and it’s not showing up under college basketball. If a specific game is not showing up and you happen to know your local station carrying the game, try typing it into the search box. This next way will get you links to all the games, but is rather cumbersome. Browse to the NCAA.com’s March Madness schedule page. Here you will find links to listen (or watch*) every game. You’ll have to magnify considerably to be able to tap the “Listen” link. 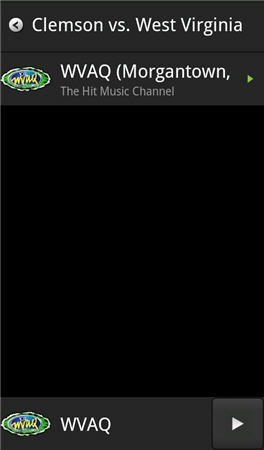 The radio player will pop up in a new window and begin playing after a few moments. You can install TuneIn by downloading it from the Android Market, or by scanning the QR Code below. *We tried watching the games like this on our original Motorola Droid but had no success getting the video to load and play properly. Good luck if you want to give it a shot on your device.